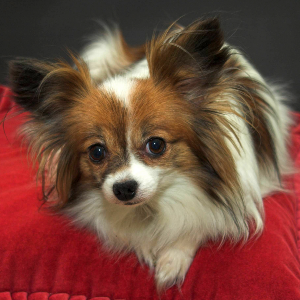 One of the oldest toy breeds. 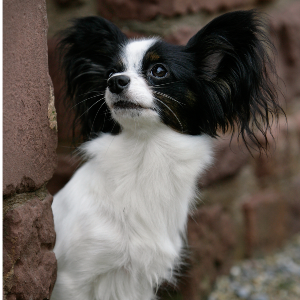 Intelligent, athletic, playful, and energetic dogs that seem to be quick learners. 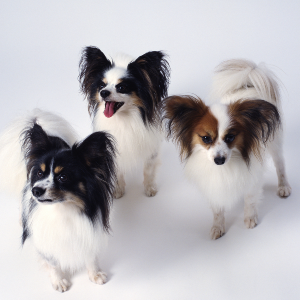 One of the oldest toy breeds, these happy, energetic friends have a history that’s thought to go back almost 700 years. 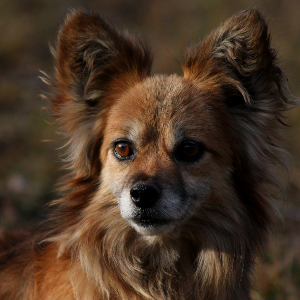 The tale goes that when Marco Polo opened up a trading route between Asia and Europe, the breed was transported from China to Italy. Italians then introduced them to France and Spain, where the nobility became enamored with their friendliness, trainability and light weight. 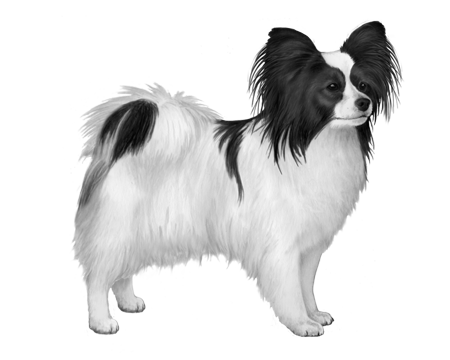 They were most popular in French courts, where they were named Papillon (French for ‘butterfly’). 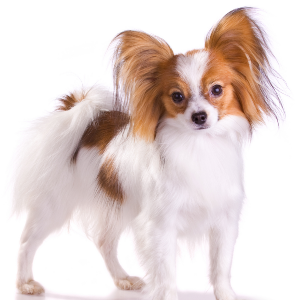 Until 1923, the Papillon mostly had ‘drop-ears’ but crossbreeding with the Pomeranian resulted in their ears becoming erect – and their popularity skyrocketing. We hear it’s not likely to change any time soon.